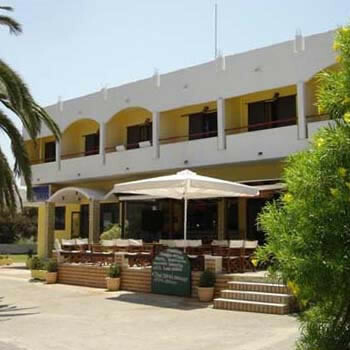 Was put in this hotel after our original one was double booked (seems this happens all the time - Palma Bay Hotel people say it is even worse there). The hotel was very clean and staff friendly all except one of the barmen who dont want you to have a drink. Food was diabolical unless you like german food snacks are a toastie in afternoon no ice cream for kids, crisps and anything else you have to pay for. Entertainment was a man playing same cd's night after night. This hotel caters for mainly young germans and there was only 7 english people there all who had been double booked! . This hotel was a total nightmare, we were supposed to be in the blue bay hotel, and this hotel is the overflow to it. We went all inclusive, and we had to wear wristbands, the food was mostly weird and german based, but there was plenty of it and they always served chips, they also always seemed to serve cold custard for desert. you can only get 2 drinks at a time, so if you have a family of 4 you have to queue up twice, long waits at the bar, only ever one serving.